This piece was written by Kabuki Strength Co-Owner and Chief Engineer Chris Duffin, a world-renowned coach and strength athlete who has had his fair share of hamstring injuries during his long career. 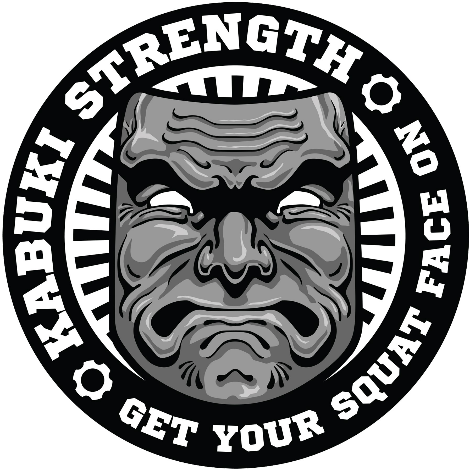 Kabuki Strength is an organization devoted to optimizing human performance via innovative equipment, education, and coaching services. Kabuki.MS is a subscription movement library containing hundreds of educational videos like the ones you see below. While this piece is specifically around hamstring strain recovery the concepts can be applied across a number of similar soft tissue injuries. Also understand its important to seek a qualified professionals assessment. As the following content is not intended to be taken as medical advice but more simply as a sample training plan during the recovery process. As a resource here are some provider searches that I can recommend. Outside of direct accident nearly all muscle strains or tears can be traced to two issues. Either training levels were accumulating fatigue at a higher rate than adaptation or recovery, or there were faulty movement patterns. Typically the first of those two is the reason and referencing Tim Gabbet’s work is often accompanied with weekly increases in volume above 10-15%. However in my in experience the latter often comes into play when dealing with hamstring issues as this large muscle group is quick to come into play in regards to compensating for other muscles around the hip. As we move into the recovery process which usually will begin following the first 3-4 days of more acute inflation following the initial injury it is important to understand these concepts and a few others. Training itself, or moving, is essential in the healing process. It is not just blood flow but the release of growth factors and reactions at the cellular level. These are the same things that cause use to grow and become stronger from training and to shrink and atrophy when we become inactive. 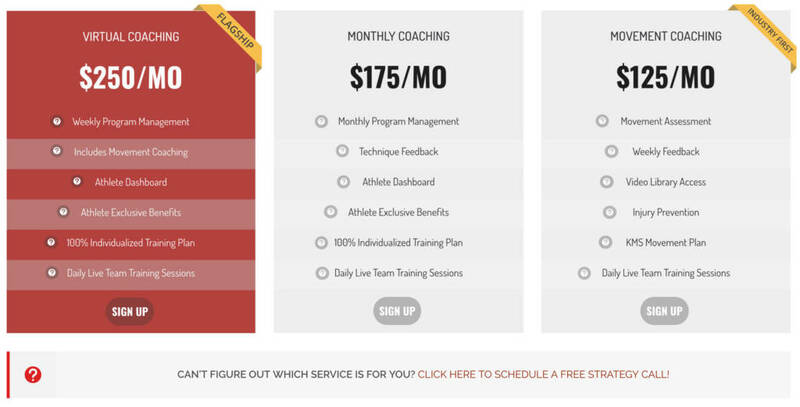 What do you think is the best choice for your rehab? Growing stronger, or choosing to rest and atrophy. Additionally you need to think about the training volumes. If you chose to not train at some level what happens to your training volumes when you return to training? Will they exceed that 10-15% threshold for weekly volume increases? Will you reinjure this are or another area 2-3 months down the road because of this? So lets train and move, but how and with what goals? We want to deal with whatever compensations patterns have developed that may have led to injury. So it becomes important to move through as much of a full range of motion as we are able. And you want to move as cleanly as possible. We want exceptional core stabilization for the overall effect on neural firing patterns and related centration of the joints. Our specific approach to this is available on www.Kabuki.MS but some of the basic points in regards to the specific movements will be discussed in the videos below. Once the hamstring is damaged you will find a number of muscle tighten up to guard it. To move through a range of motion and also not have the joint being pulled out of position affecting neural patterning we need to start with cleaning this up. You can choose a number of soft tissue approaches to this. Our favorite of course is the use of the boomstick due to its exceptional results and efficiency. What you want to do is check each of these tissues and find which ones are tightening to guard the damaged tissue. Once you know which ones to work you can stick with just those tissues in future. Below is a list of tissues to check. They are also ordered in priority by how often I’ve seen them being problematic from my own experiences. We of course have videos on all these on working all these and a few more on this playlist here. Once you have identified the soft tissue restrictions the clean up process should be 9min or less before we move to training. With the training we never want to move or train “in pain”. We want to explore the boundaries of where the pain is so we can continually move it forward. It is also important to have an assessment marker to know when its appropriate to advance to more aggressive training. My favorite for this is the simple single leg deadlift. I prefer this to be done without shoes. This makes sure we are rooting to the ground properly and any issues with lower leg muscles and balance will show up as well. Please listen to the cueing carefully in this video. It is not how deep you can go with the weight if you’re not staying neutral and braced in the torso and reaching with the rear leg. The goblet squat is a great tool as it helps cue the proper bracing patterns and erect torso via the weight distribution in relation to the hip joint. At the same time practice perfection with these and notice an imbalances. You may have to start with no weight and a partial movement. Try to push these further for depth each time then add weight. A glute bridges using a light band to cue the hamstrings first can be great way to hit the hamstrings and glutes. If this is to far advanced you can simply put your foot up on an exercise ball while lying on you back. Extend the knee then pull the knee into flexion moving the hip around to different angles while you do so. This can be great during the 3-4 day acute phase. An advanced version of the Glute Bridge would be doing the pull in to a glute bridge while on an exercise ball. If you can get to where you can do this with a single leg you should be ready to return to full training. One of my new favorites is the Copenhagen Adduction drill. This is great tool if the adductors are not firing properly in relation to hip and oblique sling mechanics. All these are worked in this sequence of basically an adductor side plank combined with movement. The magic really happens at the very top and bottom of this movement. 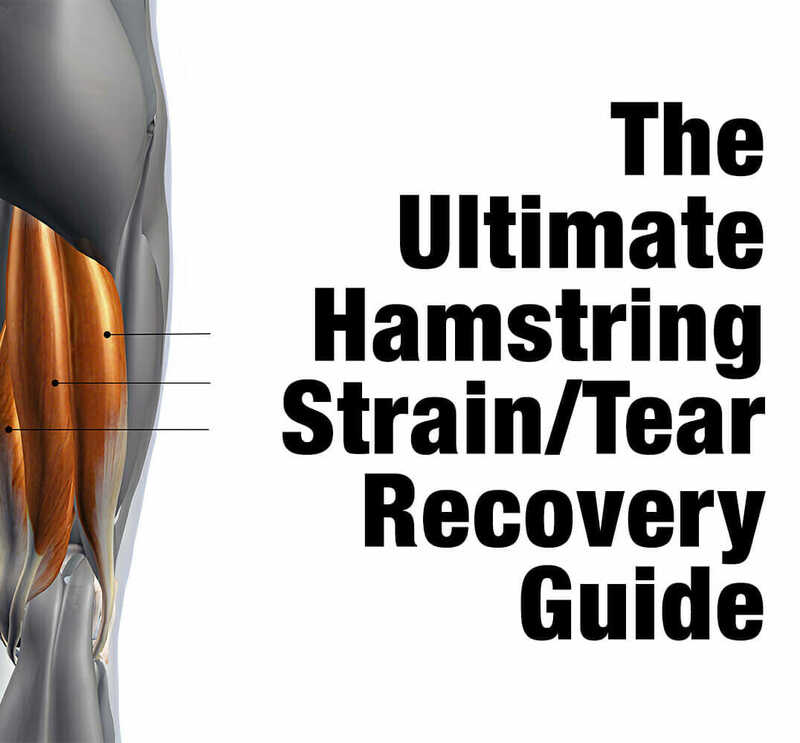 Research has shown that moves similar to this significantly reducing hamstring tears. An eccentric based movement like a supine leg curl where you’re assisting in the concentric phase can be a great tool as well. My recommended approach is to find 2-3 movements and do then in a circuit finding a load or range of motion I can handle for 15-20 reps. This should not be incredibly challenging. But you will do this circuit 3-4 times each time you do it and then repeat the entire sequence 2-3 times a day. Yes this is a lot of work and will take a higher level of consistency and discipline than your normal training. Movement capacity is the very first goal in this process. Regaining full range of movement is priority over adding load. Full range can be different from person to person depending on your sport requirements, lifestyle, or other goals you have. What we want is to move through that desired range teaching the body that its safe, reinforcing neural firing patterns, and using that range with load. Transversely stretching to add extra range of motion that you may not use will not translate and may be counter productive. Range of motion that we cannot exhibit power in is useless. Developing full and usable range of motion that we can transfer power through the body is our priority. If you come into a session lacking movement capacity then step back to step 2 and clean up the restrictions. If you are unable to correct it then change the movements so that you’re training the same are but are not forcing movement beyond your capacity. Or you can tailor the range of the movement like a doing a high box squat instead of a full squat staying within your limitations. If you have any backward progress with movement capacity the next step of root cause analysis needs to be prioritized. Determining the root cause can be challenging for most people so don’t feel bad if you need to seek the help of a professional again. The list of provider search options at the beginning is a valuable tool here. The site of pain is not the root of the issue. The goal is to find the painless dysfunction. What the second point means is finding what wasn’t working right somewhere else in the system. Finding the dysfunction that is not causing pain. If this dysfunction is not corrected the same injury will return or other new injuries in the same system will keep popping up. In the movements try and discover that painless dysfunction. Countless videos on www.kabuki.ms can be a great resource for walking through this process on your own. This is a very complex topic so just the philosophy is touched on. Seek a professional if you need help. We have a 3-day certification we hold as well around the country that dives deep into this process as well. Incorporating bloodlfow restriction training with these protocols can speed up the process even more but is not required. We have a great podcast with Dr. Mario Novo who is a leader in this field on the subject of blood flow restriction. To use BFR training with this type of training I would pick two (2) different exercises preferably that target both the proximal and distal ends of the hamstring. An example would be doing the Single Leg Deadlift or a simple Kettle bell Romanian Deadlift with the Hamstring Activated Glute Bridge. You start by wrapping the affected leg, or both legs, up close to the hip joint firmly with a wide band or knee wrap. We have found our wide bands to be the best products for this. Each Rep should take about 2-3 seconds with maintaining that pace throughout the set. The first circuit you will do 30 reps on each exercise to prime the pump and then do 15 reps for the next 3 circuits. This should last about 6-8min total for the session. Loads need to be light as you don’t want to be pushing to much of the blood past the restriction cuff. If you listen to the podcast you will understand why. Once you pass the marker you put in place for return to play you can ramp into full training making sure you don’t increase volumes too fast. Single Leg deadlift with 20% of your deadlift max done pain free with no faults or balance issues. Readers are invited to sign up for a kabuki.ms subscription using code “onemonthfree” and receive their first month on us.